Some people are capable of producing great things using very few resources. 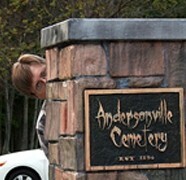 Such is the case with Robert Anderson and his Cemetery Entrance Columns tutorial. 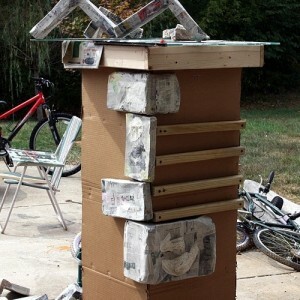 These remarkable columns consist of nothing more than a few pieces of scrap wood and boxes covered with newspaper. The paper mache mortar seems like an incredibly tedious detail but it really helps make this prop that much more authentic, I mean, this looks like actual masonry here. Robert admits to being cheap, and that’s a really great thing here because he’s managed to create an incredibly detailed prop without having to break the bank.